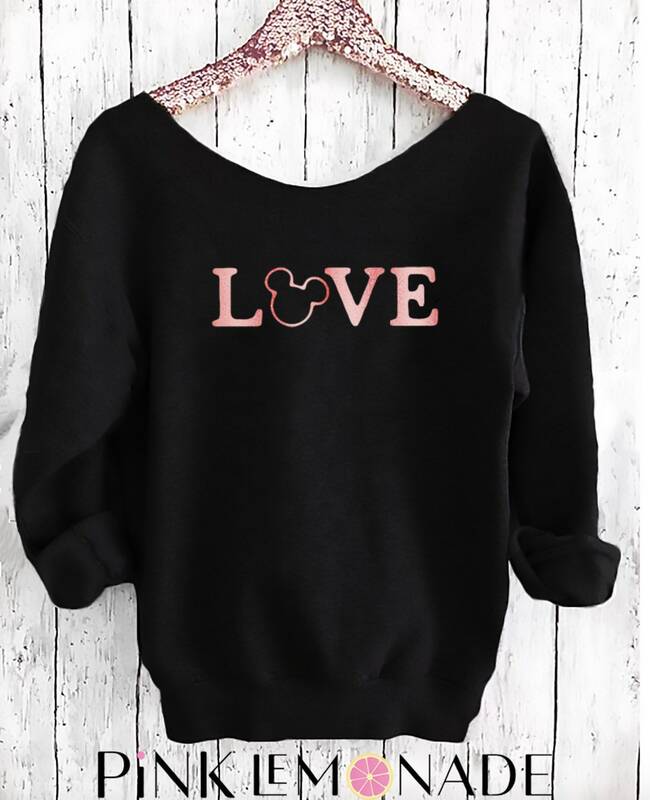 LOVE Mickey Off shoulder sweatshirt. Mickey sweatshirt. Disney sweater . 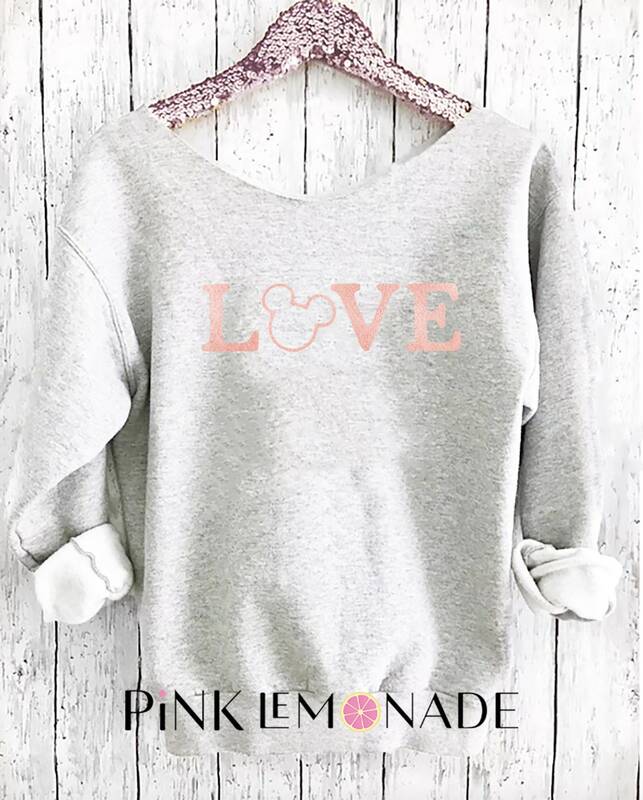 Mickey sweater Made by Pink lemonade apparel. 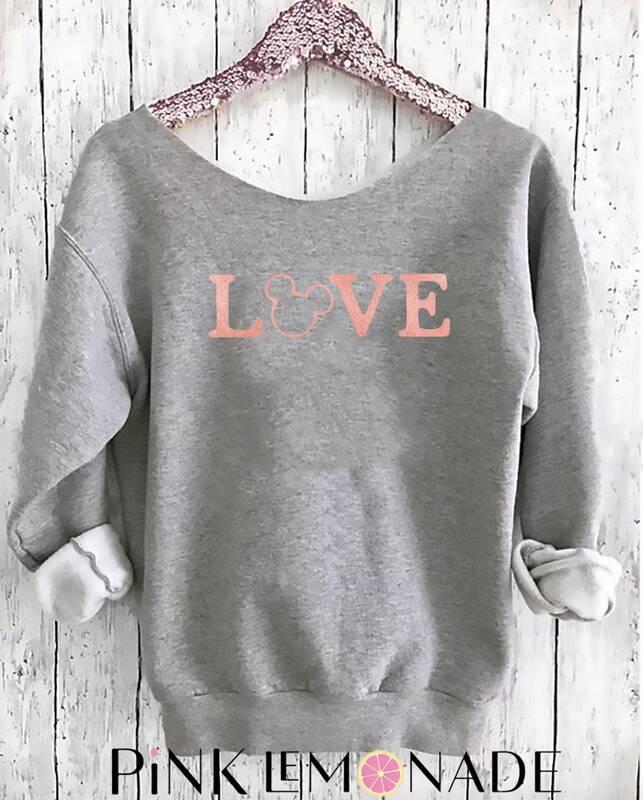 Love Mickey Sweatshirt Perfect for the theme park or for every Day! The image printed on this shirt is a high-quality reproduction of an original illustration, lovingly hand painted and hand lettered by me in my studio.